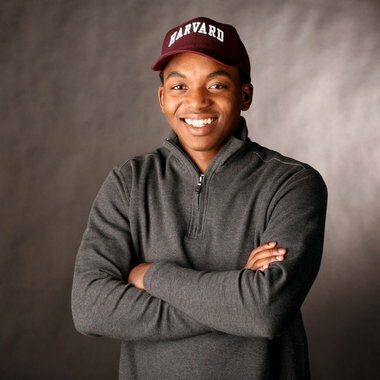 Through hard work and relentless hope, David Boone went from a homeless young man struggling to find a place to sleep at night to a Harvard student. David had to sometimes sleep on a park bench, making a pillow out of his school bag. He soon discovered that the park was not safe during the night. So, instead, he would sleep during the day, after school, when people would not bother him, and study and remain alert during the night. Often, he would go to the transit station, because it had heat and was open late. Apart from studying, he would also work at a boutique, in order to pay for food. While his life conditions may have been precarious, David was an ambitious young man, who applied for many top high-schools. He was selected into MC2STEM High School, offering a project-based education focusing on science, technology and engineering. The school has longer school days and a year-round schedule with classes being held throughout summer. David recalls that, for the first time in his school life, at this high school, he wanted to be actively engaged in the classroom. His first project was the STEM Sustainability Conference, where he had to find a solution to a pressing issue in the natural world. As his passion for science continued to grow, he was accepted to the Minorities Introduction to Engineering and Science (MITES), a prestigious summer program for high school students at MIT. Still, at the beginning of high school, David continued to lack stable housing. So, each morning, he would arrive at his high school at 5 a.m. to do his work. Hearing about his situation, his high-school principle offered to take him year for over one year, between the 10th and 11th grades. David finished high school as a salutatorian. In his graduation speech, David confessed his strong belief that “the class of 2012…will change the world.” For him, these were not mere fancy words thrown to embellish a speech. While at Harvard, he started practicing what he had preached. He launched the Harvard Undergraduate Robotics Club (HURC), an engineering initiative aiming to solve global problems through engineering-robotics. He chose Harvard out of the 22 other schools that accepted him, including Yale, Brown and Princeton, after becoming a recipient of a full scholarship from the Bill and Melinda Gates Foundation. He wanted a city that he could explore and had multiple internship opportunities and Cambridge, situated right outside of Boston, had everything that he was looking for. So, he chose Harvard. You may also want to read how an eight-year-old has made a difference for homeless here. Also check out the story of a fourteen-year-old Filipino boy has helped 10,000 homeless here.